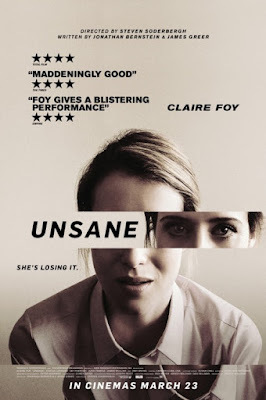 We're happy to offer our DC readers the chance to win an Admit-Two ROE (Run of Engagement) pass to Steven Soderbergh's thriller Unsane starring Claire Foy! SYNOPSIS: A young woman is involuntarily committed to a mental institution where she is confronted by her greatest fear - but is it real or is it a product of her delusion? The passes are valid Monday-Thursday at any Regal Theater in the Washington, DC area. If you'd like a chance to win, simply send an email to punchdrunktrav@gmail.com with your full name, mailing address, and favorite Steven Soderbergh movie. Be sure to title it "Unsane ROE". Winners will be selected Sunday, March 25th and contacted by email. Good luck! 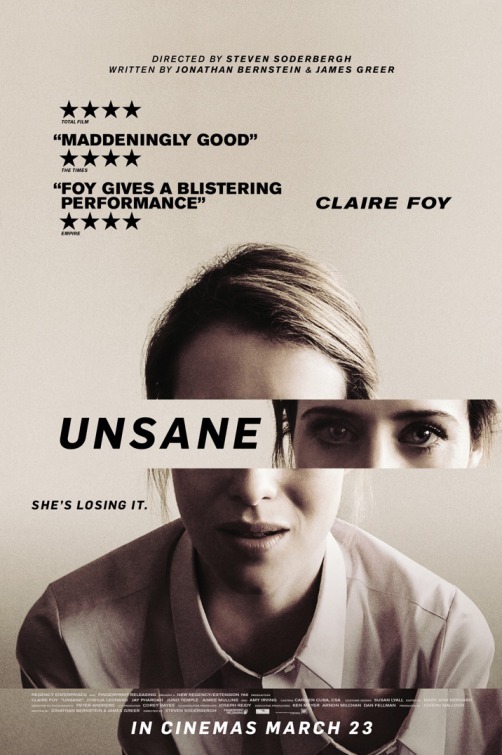 Unsane opens in theaters today, Friday, March 23.